Seattle is a very green city filled with mini, small, medium, and large parks; one spot to visit is the Washington Park Arboretum, a 230-acre park that is jointly managed by the University of Washington and the City of Seattle. While it contains a Japanese garden with an entrance fee, the rest of the park is free and open to the public with plenty of parking even with all the locals milling around. Though isn’t the largest park in Seattle (a title that belongs to Discovery Park), its diverse vastness is picturesque with bountiful plants and blue waters, especially the trail down and about Marsh Island. 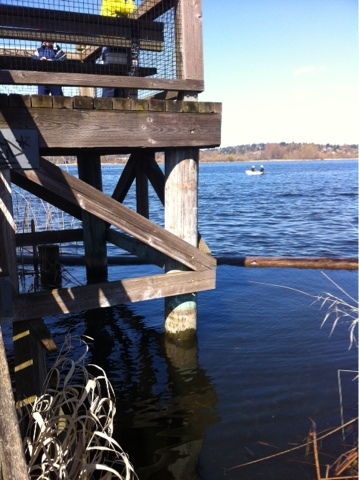 Marsh Island is on the north end of the Arboretum where the floating bridge with a toll (I-520) is. A floating pathway is set on top Union bay which enables you to walk across water to the island. Marsh Island is a fitting name as the waters flood the land during rainy season and the island remains moist during non-rainy season. In the springtime, the trail is completely walkable and perfect to explore on a sunny day. Many visitors bring their fishing gear to fish, take their dogs out to play, or just walk around on the island to pass the time. You can even watch the kayaks and canoes move gracefully across the water from some elevated docks. Additionally, the island possesses a great view of the UW stadium. After a trip to the park, you might be hungry. In that case, hit up Cafe Flora, one of Seattle’s best vegetarian and vegan restaurants for lunch, brunch, or dinner. You won’t be disappointed and notice you missed out on meat. If you’re going for brunch, the quesadilla is particularly spectacular and special as it is wrapped with an egg. It’s more an omelette with quesadilla inside and is mighty tasty, packing an energetic punch to fuel the rest of your day. To learn more about Seattle Parks and Recreation, click here. To learn more about the Washington Park Arboretum (parking, hours, etc), click here. 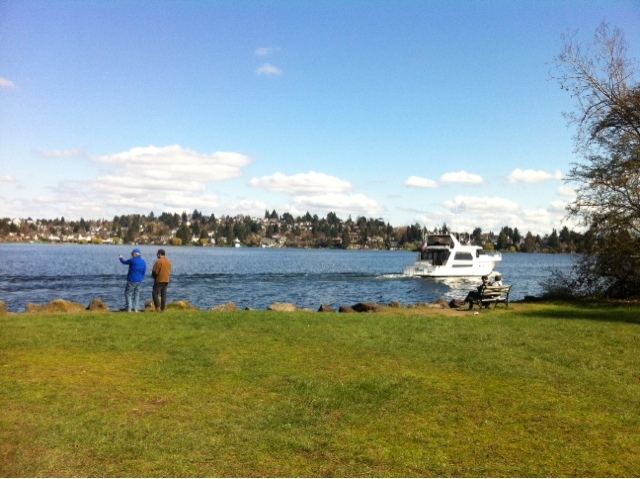 This entry was posted in Do, Explore, Seattle and tagged dogs, fishing, marsh, park, stroll.